Keeping intact quality, integrity, expertise and service excellence at our core for 7 years, our team of highly motivated and experienced ERP, HR and IT consultants work tirelessly with our customers in providing swift solutions with higher levels of ethics and accuracy. From understanding organizational requirements to translating business objectives into reality, Blueprint Technologies is touted as the most reasonable enterprise Solutions Company in the market for providing end to end ERP solutions in SAP & Kronos Products for a wide range of industries including Manufacturing, Oil & Gas, Pharma, Banking, Professional Services and more. A deeper understanding of SAP and Kronos methodologies and processes at the heart of our business has been one of the key indicators of our client's success. We strive to build a transparent, productive and long-term relationship with our clients for a mutually-beneficial partnership. A focus on attending our customers' requirements and meeting their expectations against all odds is the hallmark of Blueprint. We believe in NOT failing them. 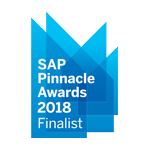 A bunch of talented, enthusiastic and ambitious ERP, HR and IT professionals with their ability to translate business needs into effective, tangible and measurable software solutions has not only earned us upper echelons in the industry but also made us the firstchoice of customers.Our experts and skilled professionals hold an unmatchable record in implementing SAP and Kronos Products. Aiming for excellence in class software delivery services, our leading-edge ERP, HR and IT solutions coupled with our agile approach enables our clients and customers to see faster results, mitigate risk, and lower their total cost of ownership. Delivering quality service while maintaining a good reputation is our top-most priority. We offer a total Support Service to companies and customers who are looking for a partner to manage their entire ERP and IT strategy and support. Our agreement ensures that our customers have direct access to our latest technologies and services that can enable our customers to devise unique solutions for their existing business. 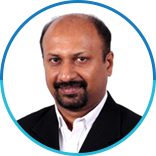 With over 20 years of rich and diverse experience in SAP, Rony John is leading the team at Blueprint in helping customers recognize the benefits of the ERP Solutions and providing sound design and integration approaches to successfully implement their SAP and ERP environments. Adept at bringing real-world expertise and solution design to the forefront, Rony has successfully helped many organizations, both big and small in actualizing their goals. Rony owns an innate ability to decode customer needs and his in-depth knowledge about SAP and Kronos products sets him apart from the rest. Prior to leading Blueprint, Rony had donned diverse roles for some of the best software giants including Convergent, Autodesk, SAP GDC,Mindtree very strong technical grounding by way of involvement in Product and Global delivery. 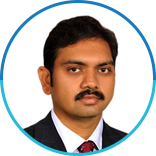 Boasting a career spanning over a decade, Kalyan carries a rich experience in SAP consultancy and several other technical areas. Kalyan oversees the company's global customer care and customer success strategy, global customer support operations, customer relationships, and the expansion of the company's portfolio of services to meet the needs of Blueprint's growing customer base. Kalyan's in depth understanding of IT solution support experience gives him an extra edge. Prior to joining Blueprint, Kalyan provided hands-on consultant in many International projects from companies like Mindtree, SAP GDC, Accenture, ITC, and Tata Steels. Omprakash H joined Blueprint in 2014. OM, as he is called in the industry, heads Solution Delivery for SAP SuccessFactors. 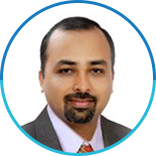 He brings over 18 years of IT experience and a proven successful track record in SAP HCM and SAP SuccessFactors. His rich experience includes several Global enterprises and Fortune 500 companies, where he has been able to provide the solutions to complex business issues using his skills and innovative software solutions. He is a trained expert in Six Sigma with SAP certifications and holds a Masters degree in Labor Management. He is also a very active participant in several blogs. Keeping abreast with the latest ERP technology and IT trends in the market, Blueprint Technologies is partnered with the best in the industry that helps clients derive robust solutions to their complex ERP, HR and IT problems. We believe in reaping the optimum benefits of a successful collaboration through knowledge share and utilizing the power of the latest technological advancements that the industry banks upon.